Panama Canal has seen its busiest year in terms of cargo tonnage in 2017. The 103-year-old canal saw 403.8 million tonnes of cargo pass through in the past fiscal year. This increase is thought to be due to the Neopanamax vessels, which allow larger loads to pass through the canal, which has been expanded in recent years, so if you use a transport company in Perth, or global shipping, there’s a chance your package will go through this waterway. During the fiscal year of 2017, there was a 3.3% increase in vessels in transit through the Panama Canal; a total of 13,548. This allowed for an increase of 22.2% in tonnage from the 2016 fiscal year, surpassing projections for the period. 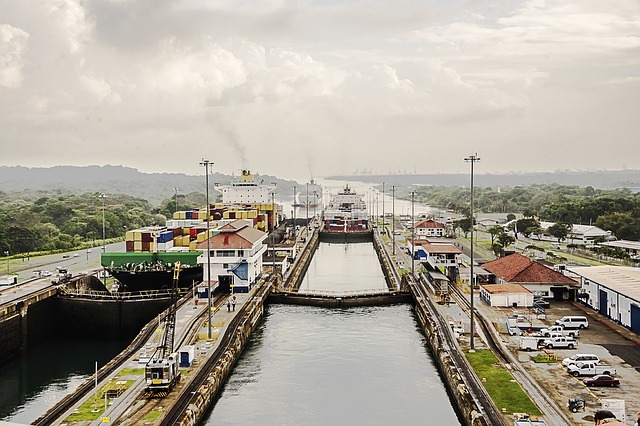 With the expanded canal now being used extensively, the shipping industry is now looking at the future of the canal. As a major logistics hub for the region, and with more people now shipping internationally, it’s important that the canal adapts to the increased traffic. In addition to the expanded canal space, shipping companies will be able to enjoy upgraded infrastructure in future years. This could improve connectivity in the region, and provide transhipment opportunities. This is set to include a logistics park of 1,200 hectacres, a RoRo (roll-on, roll-off) terminal for redistribution of heavy vehicles and equipment, and a number of other exciting projects. Container shipments accounted for the largest market share in terms of traffic in 2017, with just over 35%, or 143 million tons PC/UMS made up of container shipments. Around 89 million tons of this was transported via the expanded canal. LPG (liquefied petroleum gas) and LNG (liquefied natural gas) tankers made up about 105 million PC/UMS, while bulk carriers and vehicle carriers came in at 47 and 79 million PC/UMS respectively. With the canal expansion open for business in June 2016, it took only six months for this new waterway to receive its 500th Neopanamax, the YM Unity container ship. By March 2017, 1000 Neopanamax vessels had used the canal, with the MSC Anzu from the Mediterranean Shipping Company getting the honour of 1000th ship. Six months later, the number crept up to 2000, and the first Neopanamax cruise ship, Disney Wonder from the Disney Cruise Line, passed through the expanded canal. Around 29 major liners currently use the Panama Canal, 15 of which are Neopanamax liner services, with the East Coast to Asia route particularly popular for Neopanamax ships. In August 2017, the largest ship to date travelled the canal, containership CMA CGM Theodore Roosevelt. With a TTA (total TEU allowance) of 14,863, 48.252 meters in beam, and 365.96 meters in length, the containership successfully passed through the canal, before heading to the newly-raised Bayonne Bridge in the Port of New York and New Jersey. 2017 saw a number of changes to improve sustainability and efficiency at the Panama Canal. 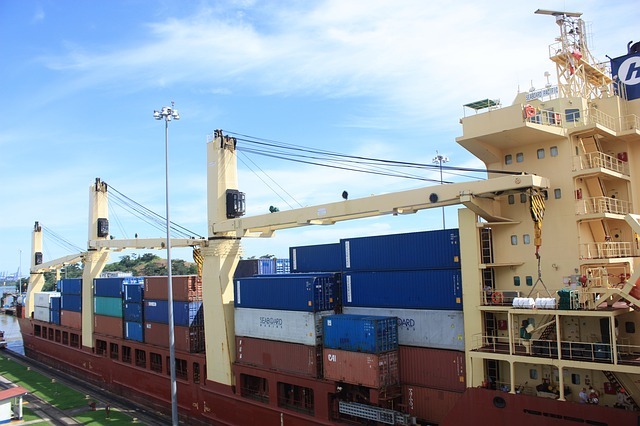 In September, logistics paperwork was streamlined for international customers, with Panama’s Maritime Single Window (VUMPA) created by Panamanian bodies to make processes simpler. The Environmental Premium Ranking is set to reward customers who improve their environmental standards. By showing they have high sustainability standards, they can get a higher position in the customer ranking system, getting priority when booking transits. There have also been changes to the toll structure, reflecting the changes in the way the canal is used, which came after a series of discussions with customers and research into cargo patterns. Reports have shown that the most popular route via the canal in fiscal year 2017 was between Asia and the US East Coat, accounting for around 34% of traffic. This was closely followed by US East Coast and South America West Coast at 13%, South America West Coast and Europe with 7%, Central America West Coast and US East Coast at 7%, and then with 5% of traffic, the intercoastal South America route. The US East Coast saw an increase in the number of Neopanamax ships, thanks to the expansion of the canal, and some ports saw record year-on-year growth, plus much higher tonnage totals for the 2017 fiscal year, showing the global impact of the canal. A number of ports around the world will also be looking at undergoing infrastructure projects to allow them to receive Neopanamax ships in future. Of the record traffic passing through the Panama Canal, the United States remained the top user. 68.3% of cargo that passed through the canal was bound to or from the US, while other top users included China, Mexico, Japan, and Chile. With many infrastructure projects in place, and a busy year ahead predicted for 2018, the impact of the Panama Canal’s expansion continues to be felt across the global marketplace. The Future of Home Deliveries or An Esky on Wheels?